Here you'll find 'breakthrough' photography courses and exciting and adventurous Workshops! My photography student’s sign up for my courses for many different reasons, but they all have one thing in common; they all want to take better pictures with their digital cameras. If you feel that now is the time to start taking better pictures then I can help you. Together we can find out what’s been holding you back and set you on your way to taking the photos you always wanted to take. As an avid lover of all things nature, I have always had a passion for the great outdoors and the wildlife within it. It felt only natural to pick up a camera to capture the wonderful things I saw from my perspective. When I’m not behind the camera, I run photography and processing workshops for all levels of experience. 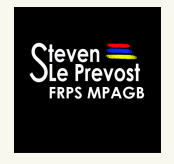 I also participate in talks at camera clubs, events & venues, covering many different aspects of my work and methodology. I have an extreme passion and enthusiasm for photography which I hope comes across to anyone who speaks with or works with me. Wildlife Photography by John Devries. 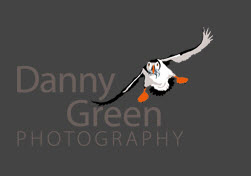 Ophrys Photography is world-renowned for high-quality, professional wildlife photography. The galleries on this website contain thousands of beautiful images captured by the highly experienced naturalist and wildlife photographer - John Devries working from Kent in the UK. John's pictures are widely published and feature in books and magazines around the world. He has also featured on a BBC television programme on improving your nature photography. Canon cameras and lenses were used to capture all images on this website. I particularly like to photograph the less liked of our species like reptiles, insects, fish etc, and try to put them in more of a positive light. Freshwater fish are a subject I'm particularly passionate about diving and working in many rivers in the UK. I'm also passionate about teaching others and as well as my own talks and private photo workshops I run a short courses on wildlife photography with Nottingham Trent University. I'm primarily a freelancer having worked on various BBC nature shows like Springwatch, Countryfile and The Great British Year. If you're a photographer, traveler, explorer, hiker, or just interested in following my travels, learning some cool photo / travel tips, and seeing some beautiful photos along the way, this site is for you! Paul writes a monthly wildlife article for Derbyshire Life and was Amateur Photographers wildlife photography masterclass expert for 2010/11. I am also a contract holder with Natural England and have responsibility for wildlife photography throughout the East Midlands and Peak District. Paul also run a number of trips with Natures Images and residential workshops with Lincolnshire Wildlife Trust. Paul has won a number of prestigious international awards. He has been highly commended in the Wildlife Photographer of the Year (2008), a catagory winner in European Wildlife Photographer of the Year (2010) and Festival de l'Oiseau et de la Nature (voted the publics favourite image in 2013) and has had numerous images featured in British Wildlife Photographer of the Year (2009-12). Bob is an experienced photographer and naturalist passionate about his work and sharing his observations of wildlife with others. Bob has been a keen naturalist from a very young age and a photographer from his late teens. He is foremost a naturalist who photographs what he observes rather than a photographer specialising in wildlife. Des is a full-time nature and wildlife photographer based in the UK. Although much of my work is of British species, my portfolio also includes work from other parts of the world - from the humid rainforest in Borneo to the arid desert of Arizona. Rikki O'Neill is a digital artist, illustrator and photographer with many years of experience. His works can be seen in numerous children's books and in art galleries around the country. Rikki is also an award winning photographer - nationally and internationally. of The Isle of Skye. If you are ever in the vicinity of The Isle of Skye, then you should visit Ken's Gallery and Studio, if only for inspiration. Ben’s personal approach to wildlife photography lies in the creative art of ‘seeing’. His aim is to use his pictures to communicate his personal vision, to generate an emotional response and to excite the viewer’s aesthetic sensitivity. He often pre-visualises a particular image in his mind before setting out to photograph it. To realise this vision by turning it into a photographic image can take weeks or even months, and often sees him returning frequently to the same location to capture the perfect shot. Internationally renowned photographer Simon Watkinson ABIPP has had nearly 25 years of experience in professional Photography. He features regularly in the national photographic magazines, having a regular column with Digital SLR User magazine. Simon specialises in Portraiture/Fashion, Weddings and Travel/Landscape Photography and attracts clients internationally. 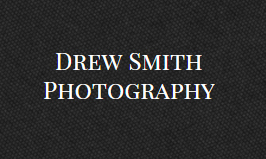 Simon is widely recognised as a photographer and also for his Digital Imaging expertise. He is an experienced tutor with a unique and entertaining style and has the ability to produce a relaxed and friendly atmosphere. Stephen, who considers himself very fortunate to have lived in the Hope Valley all his life, combines his love of walking and photography. "I try to capture some of the beauty the Peak District has to offer" quotes Stephen. 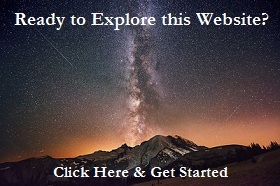 This site contains lots of DIGITAL "KNOW-HOW" and DIGITAL TECHNIQUES. I moved from York to the Isle of Lewis in the Outer Hebrides of Scotland in 1991 and established the OISEVAL GALLERY in the crofting village of Brue on the Atlantic Coast of the Island. I spent 20 years on the Isle of Lewis. I am now based on the coast of the Solway Firth in Cumbria where I am once again, as in my time in the Hebrides, constantly inspired to produce photographic images of a wild coastal landscape with constantly changing light and wonderful open skies. Tim Collins has a flair for relaxed, stylish Wedding Photography, making contemporary yet timeless images. and Copyright free music on CD. David visits Photographic Societies, showing tutorials on photoshop. 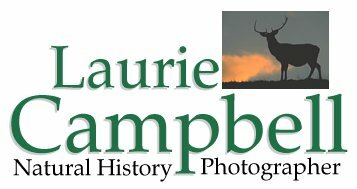 Laurie is one of Scotland's leading Natural History and Landscape photographers. View a large range of images taken in cities around the world. Joe is the first choice Landscape photographer for the National Trust. Here are the Galleries of his extraordinary and powerful black and white images. One of England's finest landscape photographers. Nature Photography from the Pacific Northwest and beyond.